Throughout her 20 years in executive search, she has handled searches in corporate communications, public relations and corporate boards. She wrote the book called “The Board Game–How Smart Women Become Corporate Directors (published in June 2013 by Angel City Press) to advise and inform women about strategic career choices and visibility needed in order to serve on boards. 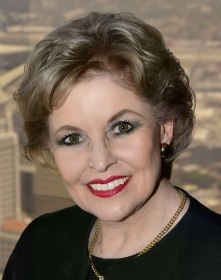 Betsy chairs the Los Angeles/Orange County chapter of Women Corporate Directors (WCD), has served on the board of Southern California Leadership Network (SCLN) for 20 years and is a member of the Society of Corporate Secretaries. She is also an active member of Public Relations Society of America (PRSA), International Association of Business Communicators (IABC), Hispanic Corporate Council and National Association of Women Business Owners-California (NAWBO-CA). Betsy had followed her communications-related career pathway since graduating from UCLA in history and journalism, working for newspapers and TV. She was a publicist for Disney Studios, before owning of her public relations agency. Through decades of experience, she has developed the networks, knowledge and track record that give her the ability and judgment to assess what client organizations need, and find the executives who can solve their problems.